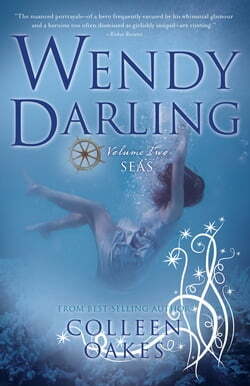 From the author of Queen of Hearts comes the much anticipated sequel to Wendy Darling. Wendy Darling: Seas finds Wendy and Michael aboard the dreaded Sudden Night, a dangerous behemoth sailed by the infamous Captain Hook and his blood-thirsty crew. In this exotic world of mermaids, spies and... read more pirate-feuds, Wendy finds herself struggling to keep her family above the waves. Hunted by the twisted boy who once stole her heart and struggling to survive in the whimsical Neverland sea, returning home to London now seems like a distant dream—and the betrayals have just begun.